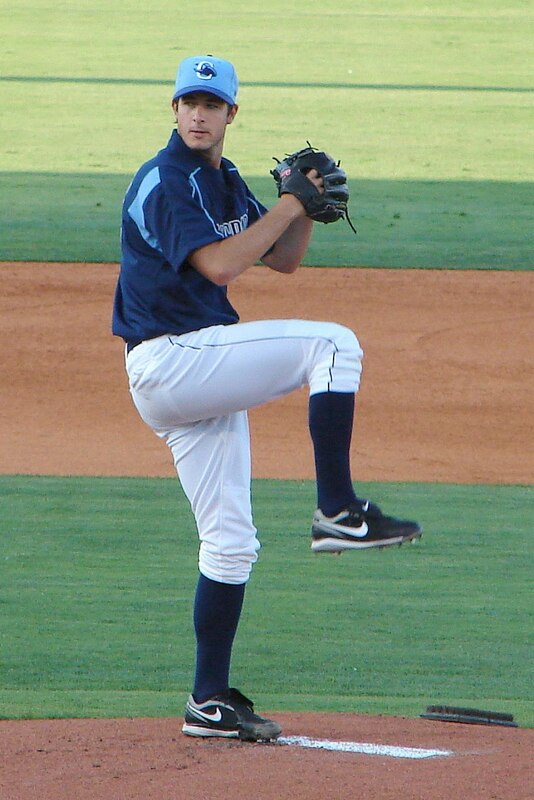 MONTGOMERY, AL – Chris Nowak clubbed a deep line drive to right for a game-winning sacrifice fly in the bottom of the tenth, vaulting the Biscuits to a 3-2 win over the Barons Saturday at Riverwalk. With Jacksonville splitting a doubleheader, the Biscuits take over sole-possession of first-place in the South for the first time since April 23rd. It’s the second night in a row that the Biscuits topped the Barons in extras, with Matt Sweeney getting a game-winning RBI-single in the 11th on Friday. Chris De La Cruz began the tenth with a walk against Birmingham reliever Jacob Rasner (1-4). After moving up to second on an Emeel Salem sac bunt, Rashad Eldridge was walked intentionally and Nevin Ashley singled to load the bases, setting the stage for Nowak’s game-winning sac-fly. Nowak put the Biscuits on the board in the first, doubling home Salem with two outs. The Barons scored twice on three two-out hits against Jeremy Hall in the sixth, but Eldridge scored John Matulia with a sac-fly in the eighth to tie the game at 2-2. Hall went five more scoreless innings with his streak finishing at 35, breaking Brian Baker’s 2009 stretch of 30 innings to set a new record. He took a no-decision, striking out four and walking one. Barons starter Johnnie Lowe allowed just one run on six hits in seven innings of work in a no-decision. Darin Downs (6-1) struck out four and allowed just one hit in his two innings to get the win. Salem led the Biscuits with a 2-4 night. LHP Jake McGee throws at 2:05 on Sunday against Birmingham’s RHP Matt Long. Has anyone see McGee pitch recently? What is happenening. Is his velocity back up to the mid 90's, or has his offspeed pitches improved? Or does anyone know a very recent scouting report on him?